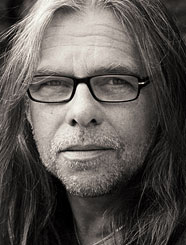 Här på min blogg alve.henricson.eu kommer jag att redovisa samtliga inbetalningar med namn eller pseudonym som donatorn väljer. Jag redovisar också bevis på överförda pengar till den chilenska organisationen som arbetar med albatrossernas bevarande. 100% av intäkterna kommer att gå till inköp av fällor och kostnader som är relaterade till detta, till exempel frakt och liknande. Tack för att du sprider informationen vidare! Vi har nått vårt mål! Ett jättestort tack till alla som medverkat, tillsammans har vi lyckats! Om det kommer in mer pengar kommer vi att köpa fler fällor som då placeras längs med kusten på Eldslandets fastland i närheten av ön där albatrosserna häckar. Jag kommer att hålla er uppdaterade om vad som nu händer. Så småningom kommer ni att få se kvitton på överförda pengar och bilder på fällorna när de utplaceras i Chile. Fantastiskt! Detta blir man glad av!!! På grund av en försening i tillverkningen av fällor kommer den första leveransen inte att ske för än i slutet av mars. Materialet i nuvarande fällor visar sig inte tåla kyla. De spricker vid minusgrader. Detta är något som framkommit under tester i Norge och Sverige. Jag kommer att hålla på betalningen av fällorna fram till leveransdatum. Försening av leverans av fällor påverkar inte årets kull av albatrosser eftersom de redan har kläckts. Det viktiga nu är att förbereda fällorna inför kommande säsong som börjar i oktober 2019. Jag håller er uppdaterade! Hälsningar! In the year 2003 a new Black-browed Albatross colony (Thalassarche melanophris Temminck, 1828) was described on Seno Almirantazgo, Tierra del Fuego (Aguayo et al. 2003), in a recently declared marine protected area (AMCP-MU Seno Almirantazgo). The colony is located on an islet which surface reaches almost 10 hectares (See .kmz attached file). Even though it is a small colony of near 60 reproductive couples, is the only one located on inner waters. This characteristic confers it a high value for research and tourism. Nevertheless, this is also a menace for the colony. Wildlife Conservation Society (WCS) has been studying the colony for a couple of years and the data has shown reproductive success troubles. During reproductive season 2014-2015 the presence of American mink (Neovison vison) was detected in the islet and no Albatrosses chick survive that summer. This voracious invasive exotic species was seeing again during season 2015-2016 with the same result for the colony. The presence of the minks in the area are of great concern, it represents a menace not only for the Albatrosses but also to all the islet fauna. Since then WCS has been developing mink control activities using conibear #110 and #120 traps. To date we have completed three seasons (2016-2017, 2017-2018 and 2018-2019) with this project and still the reproductive success of the colony is 0%. Along with the trapping activity, the Albatross population has been monitored by camera trapping and checking active nests (eggs or chicks) at least once a month during the season. The last three years the dynamics has been the same: presence of eggs during October, chicks and eggs in late November and early December (but less active nests than detected during October), some activity remaining during middle January (two chicks last season) and no chicks at all during February. entering and leaving the traps, it means the trap did not activate. As we do not have cameras for every trap we install we do not know if this happened again this year in some of the traps that are far from the cameras. Besides, touristic operators have seen minks in the coast line nearby, so minks are still a menace to the islet. It is important to mention that we have registered the activity of other predators that may be contributing to the null reproductive success of the colony. Andean condor (Vultur gryphus) presence has been increasing in the islet and has been capture on camera predating over Albatrosses chicks and eggs. In addition, we have detected Huillín (Lontra provocax) on the islet, an otter that potentially may feed on albatrosses as it has been seen in penguin colonies. 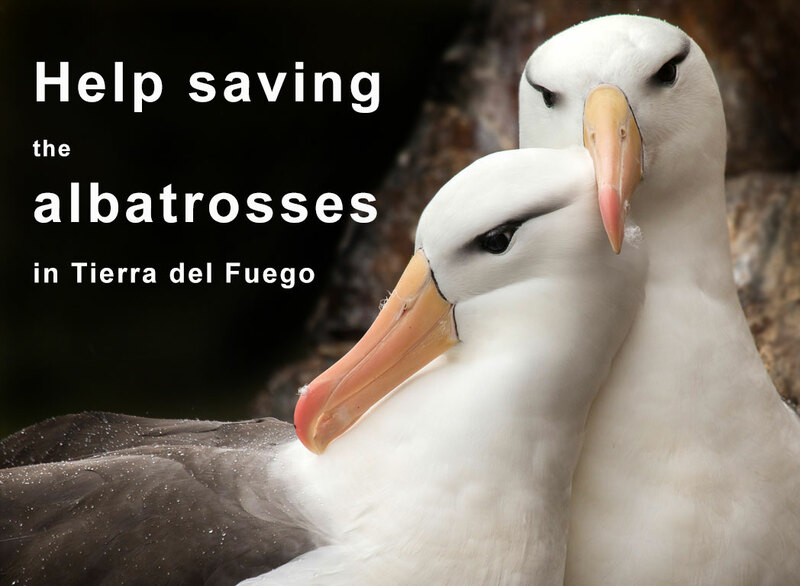 It means that Albatrosses in this islet are under pressure from invasive and native predators. Minks are, of course, not just a menace for the islet biodiversity but for all Tierra del Fuego. Its presence has been detected in different areas as along the coastline nearby (See A, B, C and D on the attached .kmz file), Karukinka Park (the private conservation area WCS administrates in Chile) and in King Penguin Park (See Parque Pingüino Rey on the attached .kmz file). Next season we will keep describing the mink’s activity by using trap cameras, identifying predators in the nests and evaluating how the albatross colony survives. Considering the previous antecedents, our main goal for the 2019-2020 season is to continue with the monitoring activities in the Albatross colony to understand the population dynamics as well as to control mink activity in the islet and coasts nearby. This way we learn to use the traps, try them in our environment and let the traps ”acclimatize” (in a previous mail from the research team in Sweden they manifested that the traps needed some time in the wild ”to merge” before minks start approaching them). The results obtained in this trial will be used to improve the A18 Mink Traps® design and so with a second improved batch, hopely arriving in early spring, will start the Albatross colony protection. Ideally starting on October, when the reproductive couples return to the islet and so during summer, all the efforts will be in the islet and surroundings considering that the activity of minks also increase during summer, December and January in particular. * We will keep using the traditional conibear #110 and #120 traps on the islet (28) using jurel (fish) as lure. * A18 Mink Traps® will be used in the islet (15) and in the shores nearby (25) starting on October. * Through camera trapping we will collect additional data on predator presence and occupation, eventually identifying with photographic evidence other species predating on Albatrosses chicks and eggs. * The colony monitoring will be performed by at least two persons from September 2019 until march 2020 once a month, increasing the frequency of the islet visits during December, January and February (twice a month at least). About other species. On the islet there are other birds usually captured on camera picking on traps: Chimango Caracacara (Milvago chimango), Crested Caracara (Caracara plancus), Turkey Vulture (Cathartes aura) and Zorzal (Turdus falklandii). Some tiny native field mice have been seen around the traps as well as Huillín (an otter from about 6-15 Kg). On land, there are foxes that may be poking around, like Culpeo Fox (Lycalopex culpeaus) and King Penguins (Aptenodytes patagonicus) on the King penguin colony we plan to use the traps. No native mustelids of small size are presents in the area. Det här inlägget postades i Naturvård och har märkts med etiketterna Albatrosser, mink, skadedjur, utrotning albatrosser. Bokmärk permalänken.